A race to save his lover—by becoming his own worst nightmare. Dr. Nick Sewell has it all. Good friends, a career as a Cambridge academic… and recently, a tendency to turn into a wolf every full moon. When a new student arrives from Germany, Nick is horrified by his visceral attraction to the troubled youth—not to mention his violent jealousy when he sees Julian with another man. He’s floored to find out Julian is a werewolf too. Unlike Nick, Julian has spent his life among other wolves, and in this subject, he’s the teacher and Nick the student. Nick struggles to adjust to this reversal of roles, especially since he’s an alpha and Julian a natural submissive. That dynamic just adds to the attraction smoldering between them, whether they’re in human form or wolf. But Julian’s pack and the abuse he suffered aren’t far behind him. And the pack wants to reclaim him. For Nick to hold on to his lover, he’ll have to come to terms with the violent acts of his past—and embrace the monster within. First Edition published by Samhain Publishing Ltd., May 2011. I’ve only read a handful of werewolf stories and Camwolf offered me something a little different from the previous ones. Nick is a university professor, Julian one of the university’s students. Not only are Nick and Julian werewolves, they also have a romance with a large age gap and, to some extent a student/teacher romance, so there are plenty of issues for our couple. I enjoyed the romance between Nick and Julian although at times their inability to communicate was a little frustrating. I wasn’t as emotionally involved with this couple as I would have liked. I’m not sure if this was because of the age gap or just because I needed to spend more time seeing the story from Julian’s point of view. I did like the English setting of the story. I love the way the English are so polite and proper, but I did think there was far too much time dedicated to what various people were drinking. I also liked seeing Nick, who is a new werewolf, dealing with his animal side and trying to integrate this with his human life. Overall, Camwolf is an enjoyable story. Three stars from me. She writes across genres, with a preference for contemporary gay romance and the paranormal, and is frequently accused of humour. Her novella Muscling Through was a 2013 EPIC Award finalist, and her novel Slam! won the 2013 Rainbow Award for Best LGBT Romantic Comedy. In the 2016 Rainbow Awards, her fourth Plumber’s Mate Mystery Blow Down came second in the Dorien Grey Award for Best Gay Mystery/Thriller, and was a runner-up for Best Gay Book, as was her historical romance To Love a Traitor. 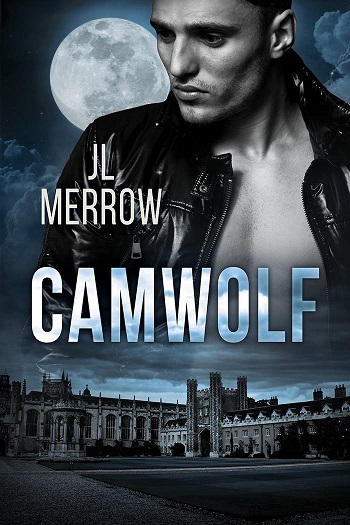 Reviewers on the Wicked Reads Review Team were provided a free copy of Camwolf by JL Merrow to read and review.